You will spend a lot of time listening to music inside your car. With this, it makes sense to invest in a state-of-the-art audio system. For many people, they are already contented with the factory radio that comes in their car. This would actually suffice, but for more discerning individuals, it can be very basic. The sound quality can also be dismal. If you want a better auditory experience, keep on reading and we will provide you with some tips on how you can improve the audio system of your car. In the tips that will be mentioned below, you may be required to spend. Such expenses, however, will surely be worth it. 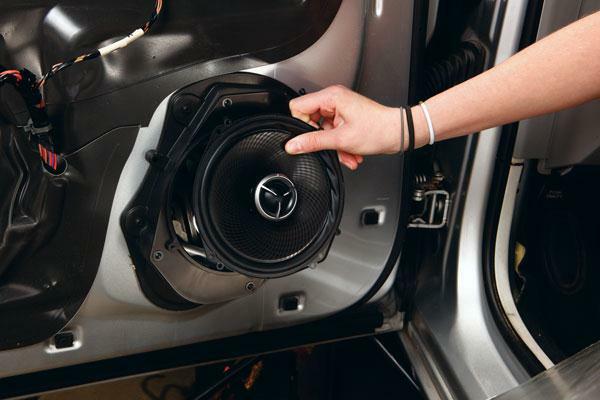 Aftermarket speakers are amongst the first investments that you should have to improve your car audio. The factory speakers are not as powerful, and hence, you should consider having them replaced with ones that can deliver better bass and treble. This would result into optimal sound clarity. Many manufacturers use paper-cone speakers, which are very minimal in terms of their functionality. Use premium speakers, and for sure, you will have better audio experience. If you are playing music from an external source, such as your phone or MP3, make sure that music is not compressed too much. Greater compression could lead into distortion of music, and hence, the quality will be negatively affected. Whereas, with a lower level of compression, there will be higher bit rate, and in turn, audio quality will be better. The main function of Digital-to-Analog converter is to have digital information converted to analog signal. When this happens in the stereo of your car, the sound quality will be distorted. With this, bypass this as possible, and you will surely enjoy better audio. One of the best materials is Dynamat, which can help in the reduction of vibration and noise from the outside. By having it installed in key areas, such as by the door, the speaker will be in a more stable platform and external elements won’t affect the sound that is produced by the speakers. This will help to improve the power of audio signals. It will make the sound signals strong enough so that it can move to the speakers. It is going to result into clearer and more powerful sound, which will surely be noticeable. These can be beneficial in more ways than one. For instance, they can be effective in the filtration of unwanted frequencies, boosting certain frequencies, and having better control of the music. By doing this upgrade, you will be able to hear music as if you are in a professional studio. If you cannot have it built, you can consider buying one. One of the most important is to make sure that it is properly sealed, which will prevent penetration of air. Buying one that is already premade is better so that you can be assured of its high-level reliability. The most logical way of defining a crossover is to compare it to a traffic officer. It will direct signals to the different components of your audio, depending if they are low, mid, or high. The end result is a significant reduction in distortion and the improvement of overall audio quality. While having an amp gain can improve car audio, this will not be the case if it is not properly installed. Make sure that the setup is right. Pay attention to the instructions from the manufacturer as each may differ from one another. By boosting the tone control of your stereo, you might be maximizing the volume, but the problem is that it can only result into distortion. This is especially true if you are driving on the highway. You should avoid too much tone boosts, even if you have a multi-band equalizer. Upgrading your car audio will not be complete without adding a good subwoofer. By doing the latter, low frequency sounds can be effectively reproduced. It can create a more realistic sound, prevent distortion, and prevent damages in your speaker. Car manufacturers have designed audio systems without thinking of subwoofers. Therefore, if you will add sub in your stereo, you might also consider adding a capacitor. This will serve as the buffer between the battery of your car and the amps. It will replicate a big hit of the bass. It will act as the storage of electrical power.